If you are considering knee surgery, the following partial knee replacement information may help you understand your alternatives. Knee pain from arthritis can be particularly debilitating because we use our knees in almost all of our daily activities. If you are experiencing severe knee pain that interferes with your normal functioning, your doctor may recommend a partial knee replacement, also known as uni-compartmental knee replacement. This procedure is much less invasive than total knee replacement and may give relief to people suffering from arthritis of the knee or a knee injury. Partial knee replacement surgery replaces only the damaged area of your knee joint, may require only one day of hospitalization, and results in dramatically less recovery time when compared with total knee replacement surgery. The knee can be divided into three compartments: the medial compartment, the lateral compartment, and the patello-femoral compartment. The uni-compartmental implant is designed to replace either the medial or lateral compartment. The x-ray below shows a right leg with a degenerated medial (inside) compartment. Notice how there is no space between the femur and the tibia. This bone on bone contact can be quite painful. The x-ray below shows a right leg with a degenerated medial (inside) compartment. Notice how there is no space between the femur and the tibia. This bone on bone contact can be quite painful. 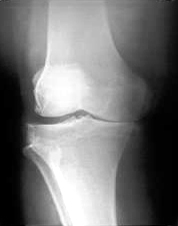 Your doctor may try several conservative treatments before recommending partial knee replacement. If the conservative treatments do not relieve your pain from arthritis of the knee, surgical procedures may be recommended. Arthroscopic surgery is a minimally invasive procedure to remove debris or repair torn cartilage. 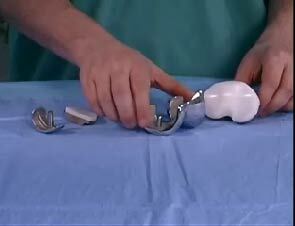 Total knee replacement surgery is major surgery that replaces all three compartments of the knee. Between those two alternatives is uni-compartmental surgery. The uni-compartmental knee replacement is a minimally invasive option for patients with knee arthritis that is isolated to either the medial or lateral compartment of the knee. This minimally invasive procedure provides several benefits to patients who have a moderately active lifestyle, are within normal weight ranges, and have arthritis that is confined to a single compartment. There are many benefits to uni-compartmental knee replacement. 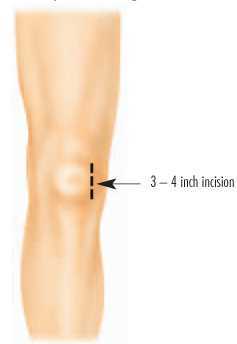 First of all, the procedure leaves a 3-4 inch incision, compared to an 8-12 inch incision for total knee replacement. 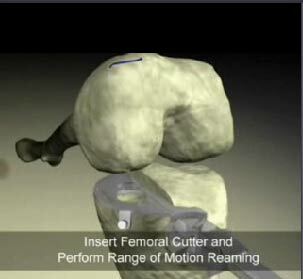 There is no disruption of the knee cap, which leads to more rapid rehabilitation. 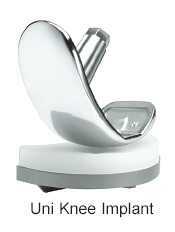 There is minimal blood loss in a partial knee replacement. 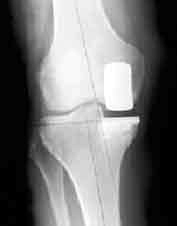 The procedure causes less post-operative pain and requires greatly reduced hospitalization compared to a total knee replacement. There is also a reduced need for anesthesia and post-operative medication.